1. The Bank of America Shamrock Shuffle is this Sunday. I’ve ran this race six times since 2006. My best time is 52:18 in 2010 so my goal this year is to PR. I am not cool about my start time. 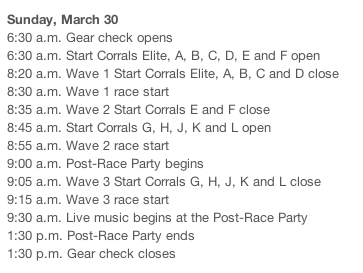 The actual race starts at 6:30 am. Of course I am not a speedy runner so my start time is at 8:55, Wave 2. Boo. Funny how those in Wave 1 and maybe 2 will be done by the time I start to run. 2. 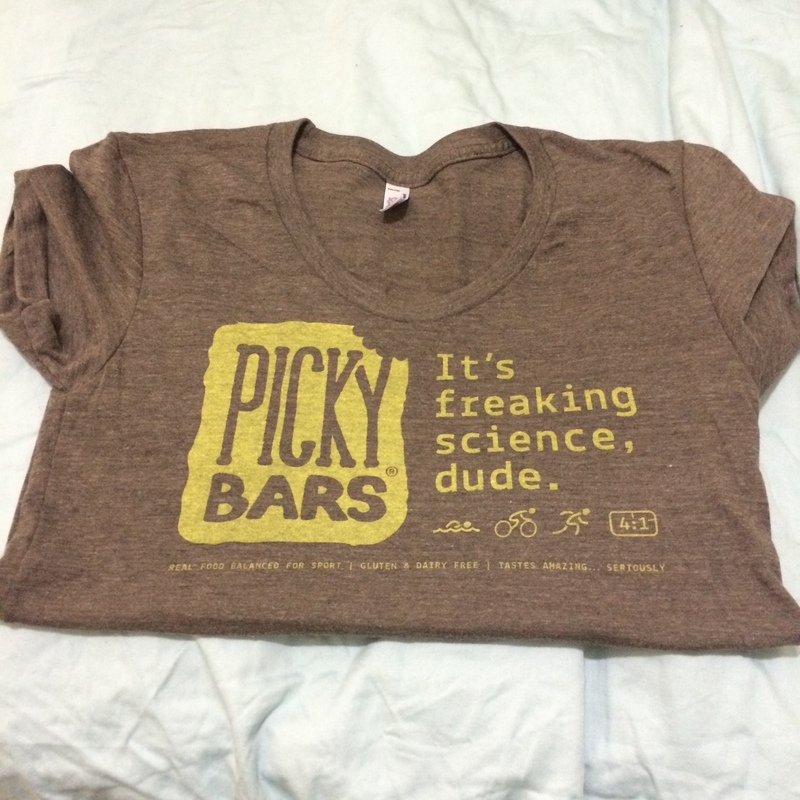 I like Picky Bars. Well, what’s not to like? 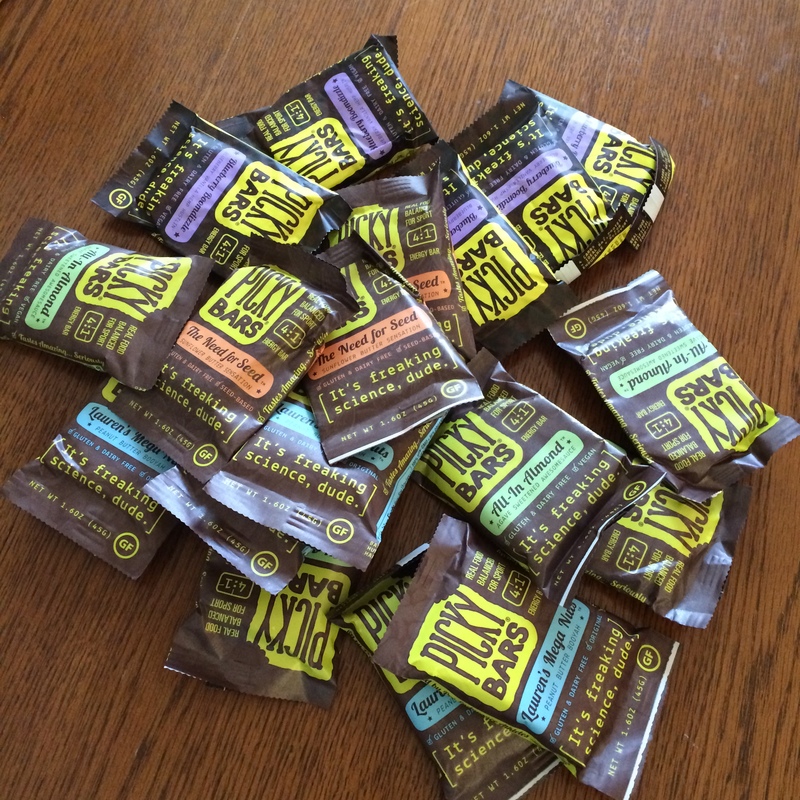 They’re tasty and have lots of good stuff for us. They’re “real food balanced for sports”. Just this past weekend I became a member of the Picky Club and I got my first shipment yesterday. 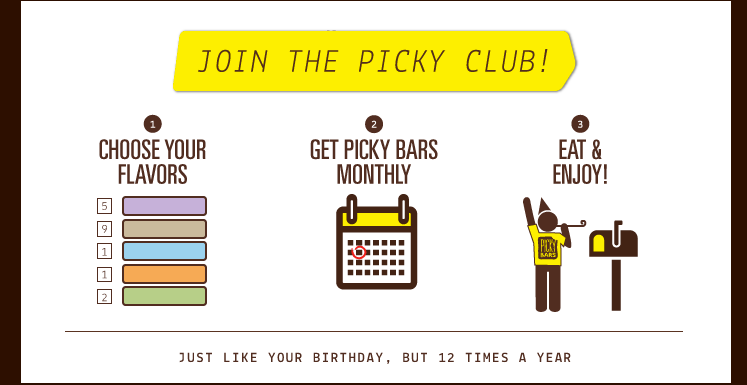 As a club member I get 18 bars for $37, free shipping, samples of new flavors, a free shirt, and other fun club gifts. 3. I love a good sale. 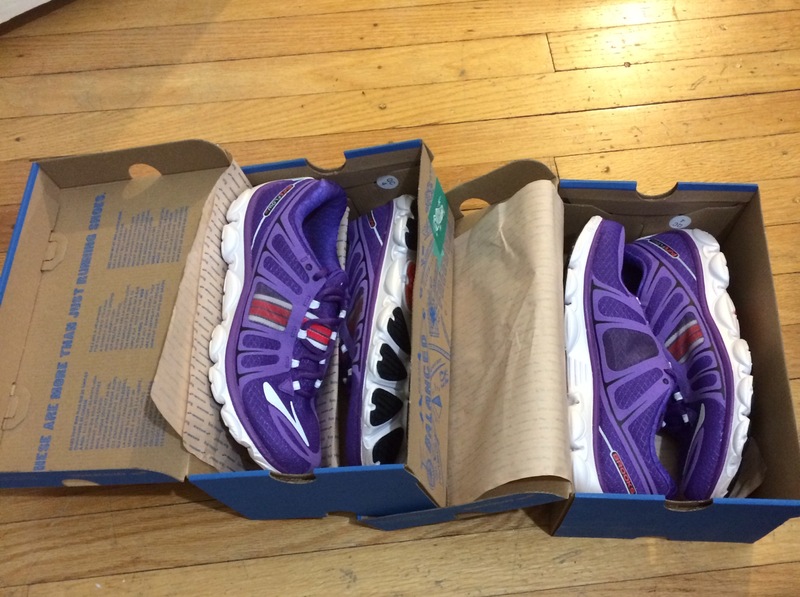 I bought two pairs of Brooks PureFlows 2 for $50 each from Running Warehouse. They still have more pairs available so I think I will purchase a few more or all of them. I love running in those shoes and I don’t think I’ve ever paid $50 for a pair of Brooks shoes. Ha, I read that post so many times but I guess I kept seeing 6:30. 🙂 Good luck to you too! Good luck! I’m in wave 2 this year. I waited at the last minute to sign up. The past two years I have been in Wave 1. You too! Hopefully I’ll see you tomorrow.